We all know that television doesnï¿½t always depict life accurately, but sometimes a fictional show will teach you some real truths. 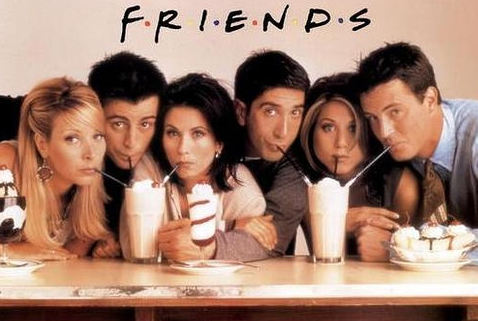 We took a look back at NBCï¿½s sitcom Friends to uncover lessons that entrepreneurs might find helpful, even when it hasnï¿½t been your day, your week, your monthï¿½.okay, okay, you get it. 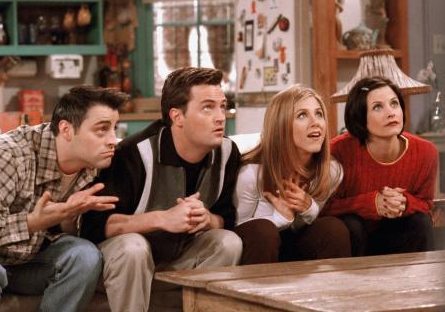 All six of the friends had goals for themselves, and they were lofty. Joey hoped to be a famous actor, for example, and Monica hoped to run her own kitchen as a chef. It was a while before their goals came to fruition, but the important thing is that they didnï¿½t sell themselves short. If youï¿½re thinking of starting a business, go for it, but make sure that you do just that--really go for it. Aim high. Remember when Ross was so nervous about teaching his first class that he accidentally spoke with a British accent? Later, when it came out that the accent wasnï¿½t real, he was in the awkward position of apologizing to a room full of bored, confused students and pleading for a second chance to make a good impression. He could have avoided the whole situation by being honest. On the flip side, when Phoebe discovered that the vocals she heard in the ï¿½Smelly Catï¿½ video werenï¿½t hers, she walked away, thinking sheï¿½d rather sing the songs herself than take the money and perpetuate the fraud. Yes, meeting with investors to pitch an idea is difficult and scary, but trying to be someone youï¿½re not is worse. Not everyone will ï¿½getï¿½ your vision and appreciate what you have to offer, but you donï¿½t need everyone to get it, just the right one. Be authentic. Customers will appreciate it. Rachel described Tag as ï¿½so pretty I want to cry,ï¿½ so even though she knew he wasnï¿½t the best person for the job, she hired him to be her assistant. Unsurprisingly, the choice didnï¿½t really work out--in or out of the office. Chandler got involved with a woman he worked with named Nina, and when the order came from the higher-ups that Nina had to be fired and Chandler had to be the one to do it, it didnï¿½t go well (he actually needed stitches afterward). Mixing business with pleasure usually does nothing more than hurt the business, which is anything but pleasurable. Before you check into a convent and prepare yourself for a life of celibacy, see the next point. Work is not your whole life, and it shouldnï¿½t be. The characters on the show had jobs and workplace issues became occasional punchlines, but the majority of what the audience saw was what happened outside of work, because thatï¿½s where most of life happens. 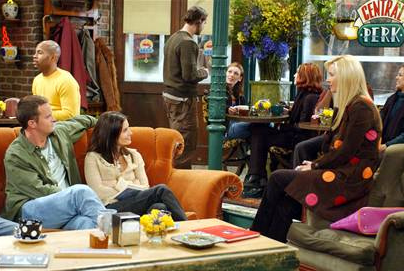 Think about what you enjoyed more--watching Phoebe work with a massage client or listening to her songs at Central Perk. I have no idea what Chandlerï¿½s original job title was, but I know about how much he hates Thanksgiving and how scared he is of Michael Flatley, Lord of the Dance, because thatï¿½s the important stuff (and because I probably watch too much TV). Just because your job is how you make a living does not mean it should be the center of your life. Itï¿½s hard for entrepreneurs to remember this, but try. When he decided to switch jobs and give into ï¿½the fear,ï¿½ Chandler became the old man in a group of interns for an advertising agency. He was starting over when most of his competition was just getting their start, but he ended up with the position. It takes a lot of guts to do what you really want to do, especially when it means giving up a steady job or going back to school after years away from the classroom. Starting over is a brave thing to do, and it can be done at any age. If the idea you had for your company isnï¿½t working, change direction (or...ahem, PIVOT!) and try again. Copyright ï¿½ 2015 Entrepreneur Media, Inc. All rights reserved.